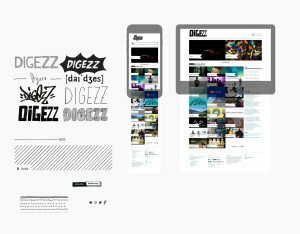 Digezz is the production platform for the bachelor course Multimedia Production at the HTW Chur. Here students produce self-contained multimedia content in order to learn all their tools for the “real life”. Without occupying space with heavy corporate design, the platform gives the students’ work the most possible volume. It even lets the random logos be scribbled by themselves.